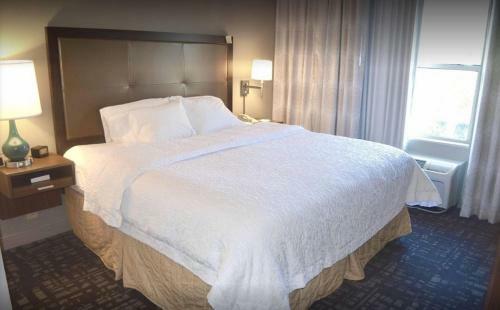 Offering easy access to Highway 202, Hampton Inn Flemington features rooms with free WiFi and serves a daily free hot breakfast. Guests can relax in the heated indoor pool and hot tub. Guest rooms at this hotel include a work desk and a flat-screen HDTV with premium channels. Guests can work out in the fitness centre at Hampton Inn Flemington. Boasting more than 40 stores, Hampton Inn Flemington is 1.6 km away from Liberty Village Premium Outlets. The hotel is in close proximity to 3M, DEK USA, Reagent Chemical and Johnson & Johnson. the hotel Hampton Inn Flemington so we can give you detailed rates for the rooms in the desired period.